I’m late to this news from Nissan, but thought it was strange and excellent. 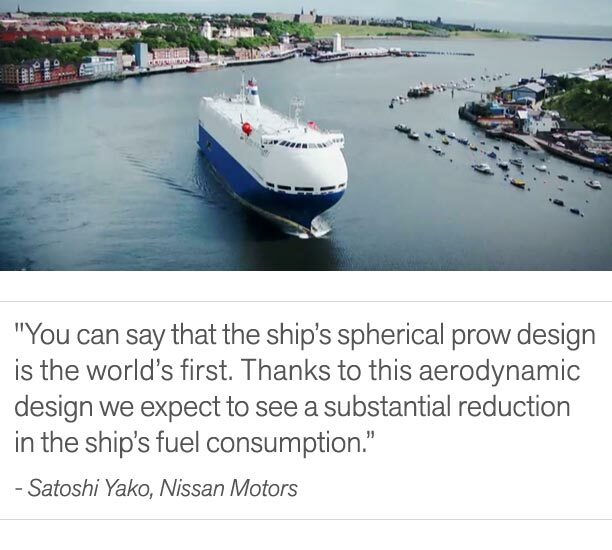 Nissan has taken the same innovative spirit and ingenuity that produced the Nissan LEAF™, the world’s first mass-produced 100% electric car, and built a cargo vessel christened “The City of St. Petersburg“. This 21,000 ton car-carrier can transport up to 2,000 vehicles at a time.